Accurately measure your signature spices with New Star Foodservice measuring cups and spoon sets! 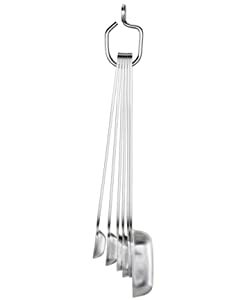 They are Conveniently connected by a small ring which helps to keep the spoons and cups as a set. 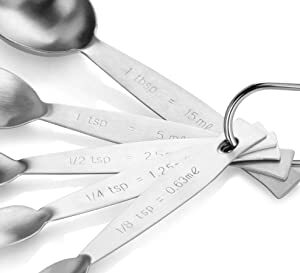 New Star Foodservice measuring cups and spoon sets are made of heavy-gauge stainless steel, which means it can stand up to hours of heavy use as you prepare your ingredients. 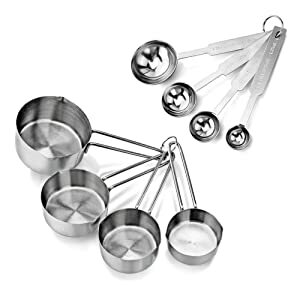 With each measurement conveniently marked on the handle of each spoon and cup, there's no guess work when adding ingredients. Dishwasher-Safe.